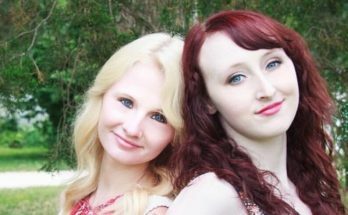 We had the honor of being invited to attend the Christmas For Kids Benefit Concert. 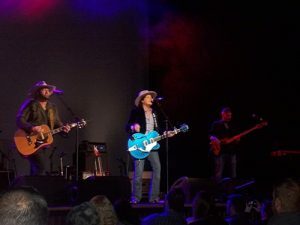 The Ryman is always a magical place for a show, but the atmosphere was extra special as country artists, fans, and volunteers alike donated their time and money to this great cause. Proceeds from the nights event went towards helping give underprivileged youth a better Christmas, from a winter coat, a holiday tour bus party, and a shopping spree at Walmart. 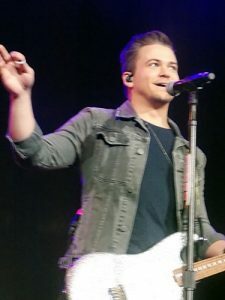 Country superstar Hunter Hayes headlined the night, along with Brett Young, Lindsay Ell, John Berry, and Halfway to Hazard. 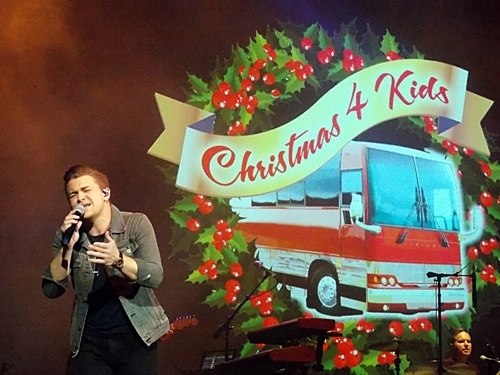 They played some of their biggest hits and even a few Christmas tunes, much to the delight of kids and adults alike. 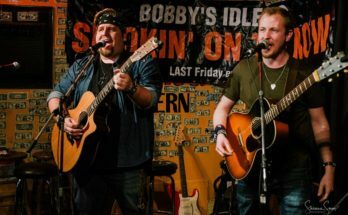 Country group Halfway To Hazard opened the show with a rollicking set that put fans in the mood for a night of good ole country music. 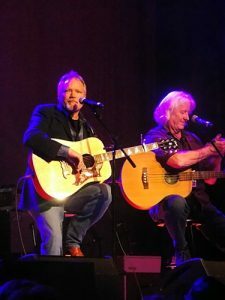 Country legend John Berry took to the stage to perform a few tunes. The audience especially loved the medley of Christmas songs. 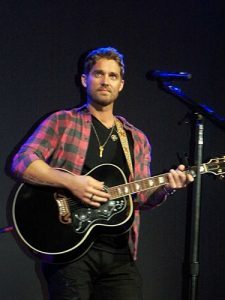 “We’re grateful to be here at all, but even more to be a part of this” Brett Young enthuses about performing at the Ryman. 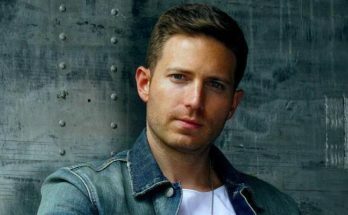 Young’s set included a few of his most popular hits In Case You Didn’t Know, his first single Sleep Without You, Like I Loved You and You Ain’t Here To Kiss Me. His set was fun and had everyone, the girls especially, singing along. This girl knows how to rock! 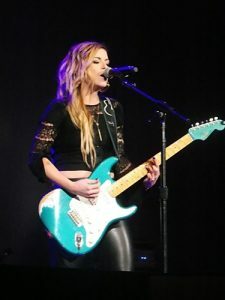 Lindsay Ell brought some fierce guitar chops to the stage as she delivered a short but rocking three song set featuring her new single Criminal. “It’s such a privilege to be here tonight. Thank you for letting us be a part of it” Hayes humbly says before launching into his set. Hunter played Storm Warning, his new single More, I Want Crazy, and even took to the piano for You Should Be Loved. The highlight of his set was an acappela rendition of one of his many hits Wanted, where he turned the mic over to the crowd. Every time I see him I continue to be impressed by his talent, his stage presence, and the genuineness and humbleness that shines through.